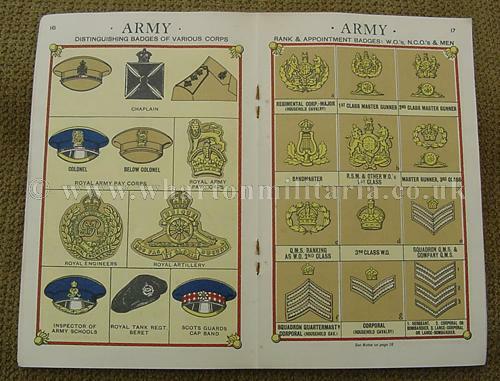 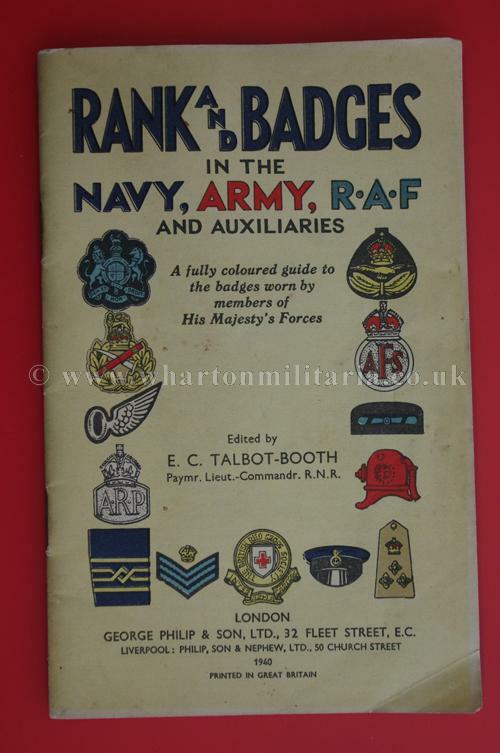 An interesting wartime colour publication on the badges worn by members of His Majesty's Forces. 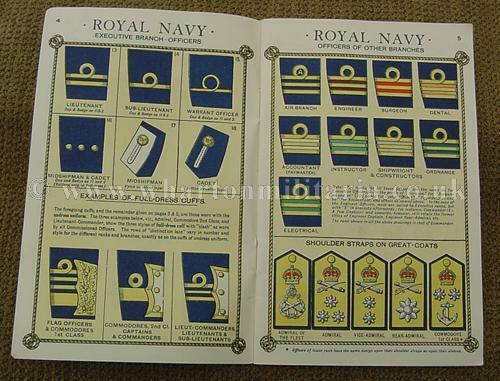 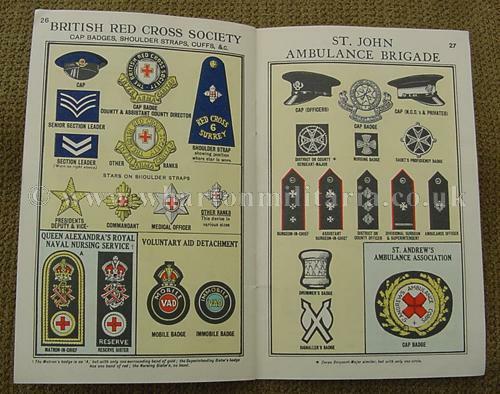 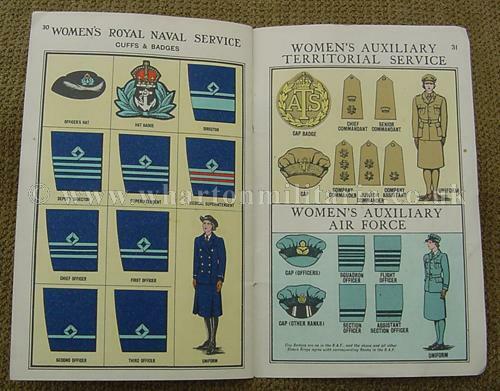 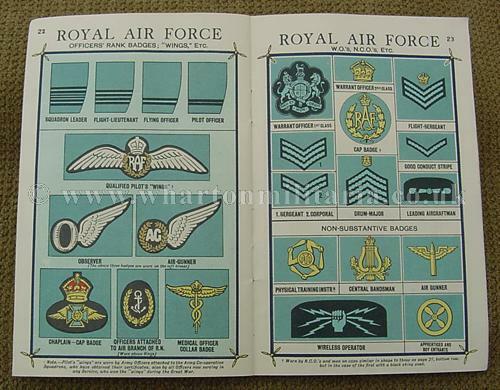 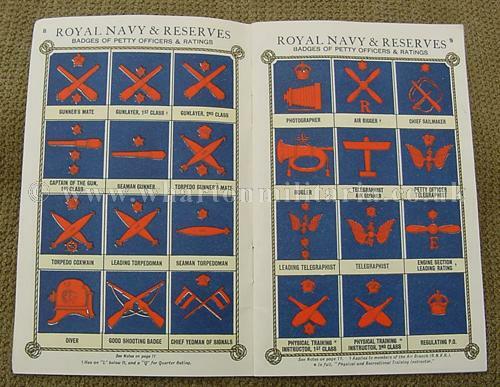 Published in 1940, an excellent and interesting guide to the rank and trade badges of forces personnel of the day, covers the Royal Navy, RNR, RNVR, Royal Marines, Merchant Navy, Army, RAF, Aircraft and their markings, British Red Cross, St. John Ambulance Brigade, various Auxiliaries and the Women's Auxiliary Territorial Service , Air Force and Naval Service. 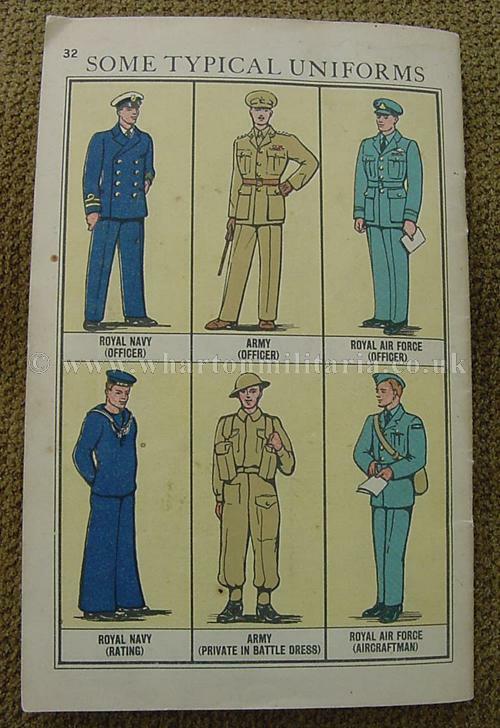 An excellent period reference book.